You know that this is the future and that we’re in outer space because of the yellow stripes on the black leather Space Jumpsuits. 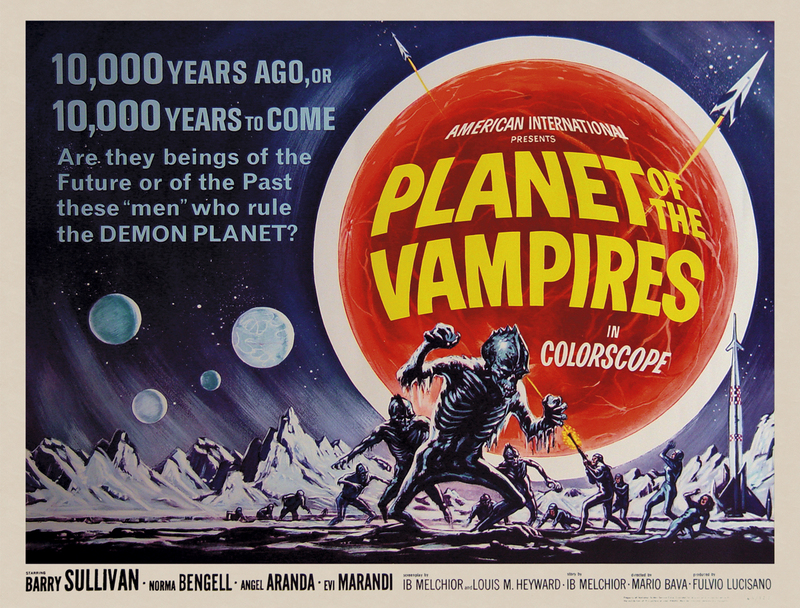 The title Planet of the Vampires is perfect in that it tells you exactly what sort of campy silliness is in store, but the irony is that the closest the film gets to vampires is the Dracula-esque high collars on the Space Jumpsuits. Okay, maybe I’m a little too obsessed with the Space Jumpsuits in this movie (and perhaps what’s more ironic is that these Space Jumpsuits supposedly went on to inspire Ridley Scott’s Alien). But seriously, if you go into this with the right expectations there’s a lot of fun to be had. It’s not "Great Cinema," but it's easily accessible and consistently amusing for a nonsensical space adventure (think Barbarella or Flash Gordon slightly toned down). The sets and models look like they might fall apart at the slightest provocation, but everything is shot very well and looks quite pretty in defiance of the nonexistent budget. Overall it’s remarkably and resolutely entertaining, and it deserves a wider audience. 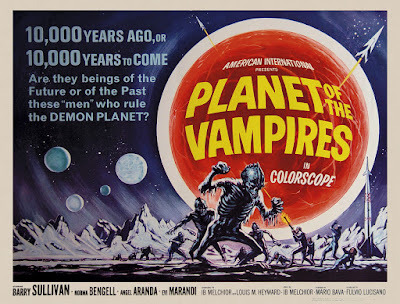 Planet of the Vampires also participates in the long and celebrated sci-fi tradition of movies about the Capgras delusion. Instead of vampires, the planet discovered in the film is home to invisible forces that inhabit living bodies and bend them to their will; the Capgras delusion is when someone believes that another person has been replaced by an identical-looking impostor. 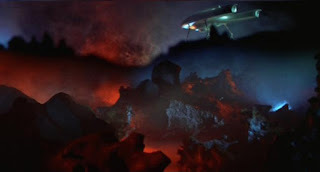 Through the concept of these fictional aliens, the film explores issues of identity similar to those that make The Thing and Invasion of the Body Snatchers so immortal. These ideas aren’t examined as closely as in those great films, but the concept is used successfully to create tension and set up a pretty much perfect ending.